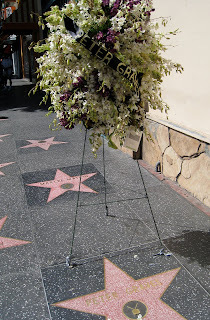 This is the star and wreath for actor Peter Graves - downtown Hollywood. 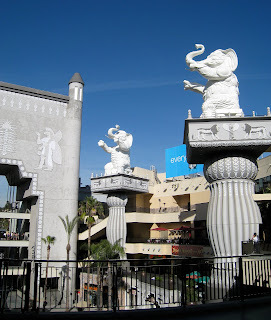 The Kodak Center - these elephants must be 50 feet high. A site to see. Had a great day with dear friends. This is a scene from the Kodak center looking down onto Hollywood Blvd. Break dancers, Darth Vador and tourists. View of downtown LA in the distance, taken from one the Kodak Theater. What a view on a marvelous day. Today Patty and I met at the Getty Museum for lunch. We live in opposite ends of Los Angeles area, each about an hour from the Getty - on a good freeway day. It was our birthday get together and this was/is a big birthday. We walked the gardens, sat and caught up, barely looked at art and had a fabulous lunch. 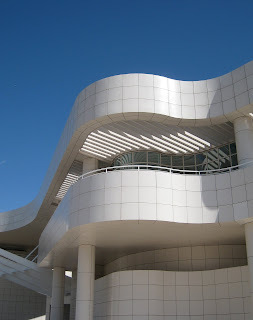 Ther is no admission pricd to get into the Getty but the parking is now $15. So we had $30. invested before we started and it was worth it. The Architecture is whatr I love and the views. Take the walking tours when you visit - it is amazing - the history and the detail. From our table at lunch I watched the sky change behind these manicured trees. 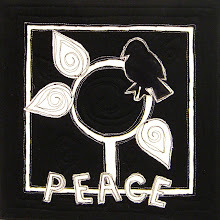 When screen printed, can't you see these trees marching across the band of your pillow case - in red or purple . Lots more going on. 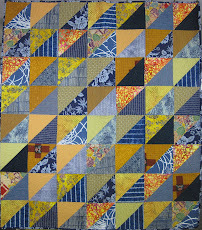 Will post quilt photos and picture of a quilt I have in an upcoming book. 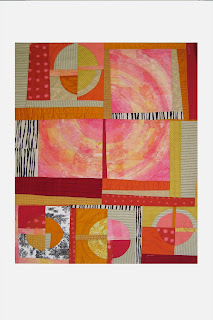 My art quilt, "While on the way to the sun" is now in the art collection of Hillcrest Congtrational Church in La Habra Heights/Whittier, CA. For three days the quilt held court in the Fireside room, during the 50th annual Hillcrest Art Festival. 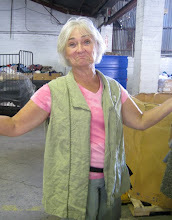 I went to pick up my unsold items on Monday. One of the ministers commented that she didn't want to see it go. An arrangement was struck - everyone is very happy. 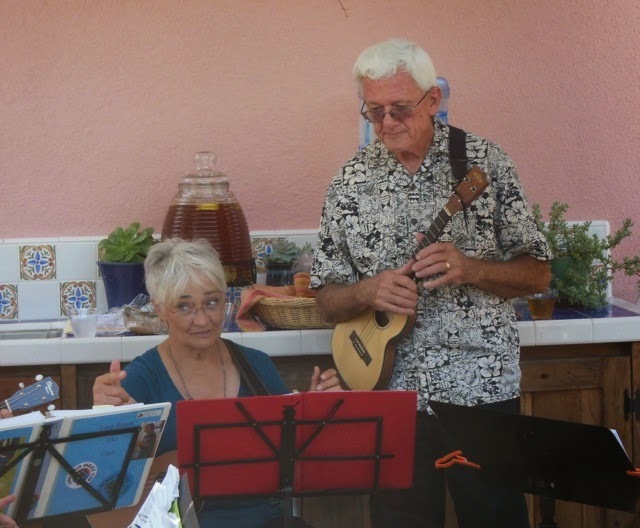 This church has been having art fairs and collecting art for 50 years - I an honored.